Discover why Shear Sailing Hair and Tanning Salon was voted “Best of Englewood” every year from 2010 – 2019. Make an Appointment Today at one of our two convenient Englewood locations. Shear Sailing Hair and Tanning Salon offers a full menu of hair styling services as well as popular hair and skin care products, eyelash tinting, manicures and pedicures. Shear Sailing Hair and Tanning Salon carries 100% human hair extensions from the top leading hair extension companies so you get a completely natural and full look. The Stylists at Shear Sailing Hair and Tanning Salon have years of professional training and can recommend the perfect cut for your hair and lifestyle. Men and Women, Young and Old .. Our Stylists keep up on the latest trends in hair styles and we’ll give your entire family a look they will absolutely love! Looking for something new and exciting? Our professional Hair Colorists use only the best salon products so your color has dimension and lasts. Voted Best of Englewood Hair Salon 2019! 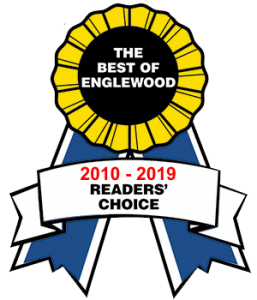 Shear Sailing Hair and Tanning Salon is honored to be voted Best of Englewood from 2010 – 2019 making it 9 years in a row to be the Readers’ Choice of Best Hair Salon. Our versatile stylists cater to all age groups and genders. We keep up to date with the latest fashion trends and hair techniques, to satisfy our long term established clients and well as our new clients. 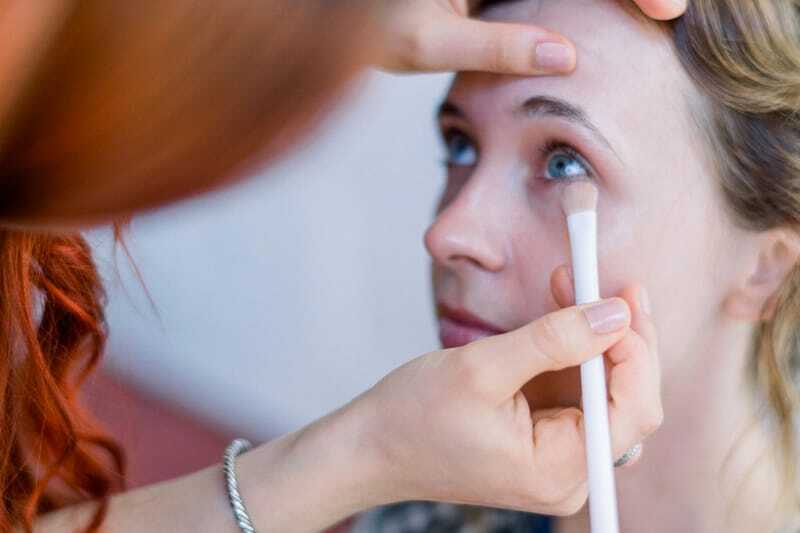 Our Makeup Artists are Trained and Certified in Airbrush and High Fashion Makeup. They have worked with runway models, well known television and theater personalities. 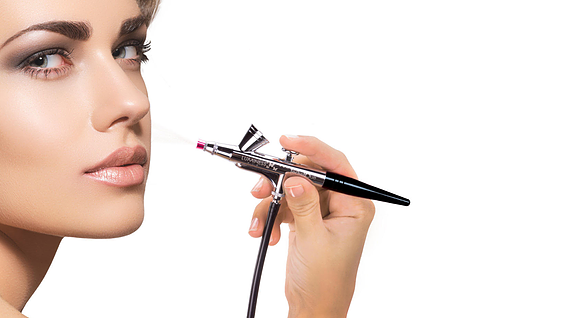 Our Airbrush makeup is highly recommended for that picture perfect flawless look. It will stand up to the Florida humidity and salty air. It covers blemishes, scars, tattoos, aging spots and more. Our Nail Technicians are experts in the latest techniques for manicures and pedicures. From an Express Mani / Pedi in 30 minutes or a Luxurious Spa Manicure with Salt Scrub we have what your looking for! We offer a long lasting SHELLAC Brand Nail Polish, Classic Colors and French Manicures and Pedicures. We also specialize in Nail Art for that special look. Airbrush Tanning is a great way of getting a natural looking tan, without the hassle of spending hours in the sun or weeks in a tanning bed. In about 20 minutes you can have a perfect natural looking tan that can last up to 2 weeks! Our tanning product is 100% All Natural! It is chemical and alcohol free, without perfumes or artificial preservatives, and it is completely odorless. I have been coming to Shear Sailing Hair and Tanning Salon for the past 5 years, their staff is professional and friendly and always makes me feel like family. I love the way my hair looks after seeing the hair stylists at Shear Sailing! They always do a top notch job with my color and highlights. They are truly the Best of the Best! I couldn’t be happier with their Wedding and Bridal Packages. They did the makeup and Up Dos for my wedding party and the results were spectacular . Our Makeup Artists are Trained and Certified in Airbrush and High Fashion Makeup. They have worked with runway models and can give a professional make-over and up-do for your special event.